Staff Credentials: Project Developers are required to have at least one professional engineer, or AEE Certified Energy Manager on staff or under contract. Please list all qualified personnel who will be responsible for ICP Investor Ready Energy Efficiency™ projects. In addition, ICP requires contact information for 3 reference projects to ensure that project developers execute quality services and are in good standing. Please provide three project descriptions, and the associated references. Insurance Coverage: ICP requires that credentialed project developers maintain a minimum level of insurance. Specifically, our process verifies that developers carry an appropriate level (at least $1M in coverage) of Errors & Omissions, Professional Liability, or equivalent policy. Note that this insurance is not the same as general or commercial liability. Please upload documentation that serves as proof of coverage for the current time period. 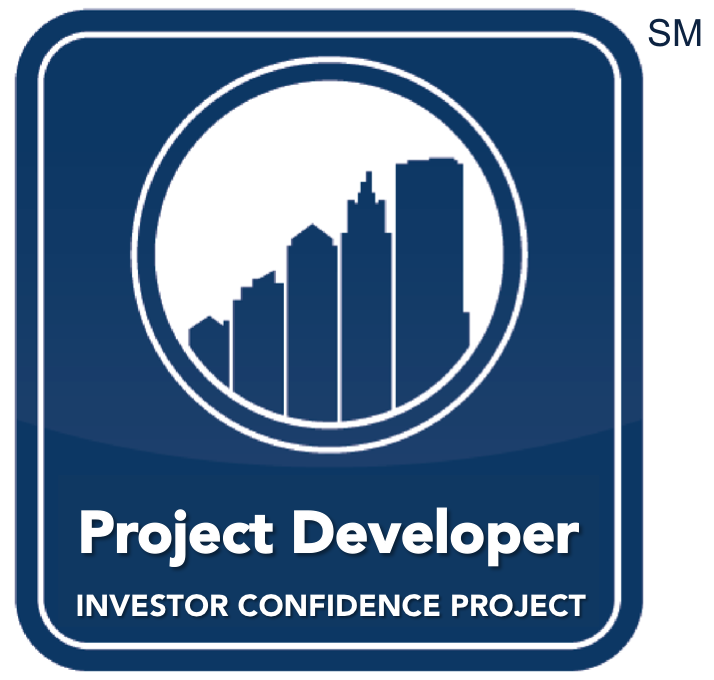 Training: Credentialed Project Developers must complete ICP Project Developer Training. Please select "To Be Scheduled" if training has not been completed. The following information will be used to describe your organization on the ICP website. Please fill out accordingly. ICP Credentialed Providers are highly encourage to also join the ICP Ally Network, a no-cost directory of all ICP supporters. Doing so will allow us to keep you informed via our Ally Newsletter and to receive program benefits such as facilitated networking. Use of Logo: Logo shall be hyperlinked to the ICP Project Developer Credential program page on the ICP website, when used in digital format.